With the deeper side of techno invading dancefloors all over, the underground scene is witness to an influx of really creative, exciting artists. 12 Tones (Get Physical, Madtech) are a name that is working its way to the forefront of that movement. Noema translates as the object of a thought or perception, and the dreamy landscape of the edit echoes the sentiment to give us a dark but grooving timebomb. V I V I Ds remix kicks up the acid, and adds a wonderful off-the-wall arpeggio to break up the middle. The second half of the EP amps up the deep. 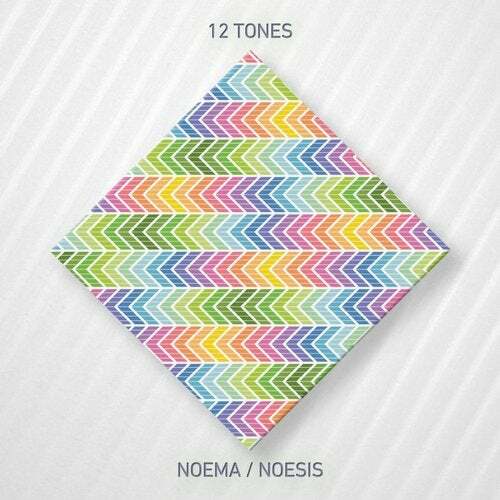 Noesis (or to perceive) concentrates on subtle thoughts and lots of feeling to create some top quality techno. The remix by Rolbac and Etchar is a sublime production, maintaining the mood, but adding a lot of personal touches and ad-libs to the original.